The 2018 Four Corners Speedo Sectionals meet held in Phoenix, Arizona hosted by Phoenix Swim Club returned this evening for the third finals session of the meet. Events included the 100 backstroke, 500 freestyle, 100 breaststroke, 100 butterfly, and 400 freestyle relay. Highlights included 14-year-old Kennedy Noble winning the women’s 100-yard backstroke in 54.39, Durango Swim Club’s Haley Benjamin winning the women’s 500-yard freestyle by over four seconds in 4:47.93, Breeja Larson taking the women’s 100-yard breaststroke in 58.00, and Giles Smith winning the men’s 100-yard butterfly in 47.59. 14-year-old Kennedy Noble of YMCA Westside Silverfish dropped a 54.39 to win the women’s 100-yard backstroke by over half a second. 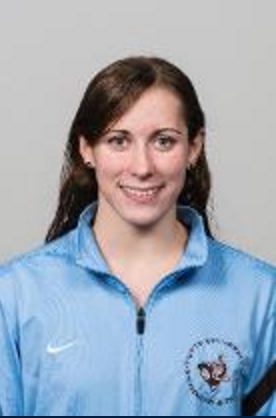 Her closest opponent was Phoenix Swim Club’s Kaitlyn McCoy, who touched second in 55.04. Third place went to Scottsdale Aquatic Club’s Greer Pattison in 55.10. Fanetupou Wolfgramm of Salt Lake Swim League shot up from 12th seed to fourth place with her time of 55.26, a two-second drop from her seed time. Katey Lewicki from RallySport Aquatic Club finished fifth in 55.78. Scottsdale’s Sophie Velitchkov sprinted to a 56.18 for sixth place, followed by Isabella Fratesi of Phoenix Swim Club in 56.42 for seventh and Kalli Fama of Rio Salado Swim Club in 56.44 for eighth. Noble’s teammate Jadan Nabor earned another first-place title for the YMCA Westside Silverfish with his performance in the men’s 100-yard backstroke, touching in 48.75 to win the event by over a second. Jan Konarzewski of Phoenix Swim Club earned the silver in 49.78, followed by Joshua Ries in 49.96 for third. Jacob Walters of Cache Valley Marlins just missed dipping under 50.00 with his fourth-place time of 50.01, while William Newman of Flying Fish Arizona Swim Team earned fifth in 50.48. Sixth place went to Jordan Tiffany of Hilltop Aquatic Swim Team, who moved up from 20th seed with his 50.99. Andrew Nixdorf of Lake Country Swim Club finished seventh in 51.15, followed by Maxwell Deyoung of Laramie Swim Club in eighth with 51.19. Durango Swim Club’s Haley Benjamin won the women’s 500-yard freestyle in a blistering 4:47.93, three seconds faster than her seed time and over four seconds faster than second-place Destiny Kling of Pitchfork. Kling finished in 4:52.09 for the silver, while 14-year-old Mia Rankin was third in 4:54.76. Sydney Carlson of Phoenix Swim Club finished fourth in 4:55.78, followed by Lucille Matheson of Flatiron Athletic Club in 4:58.80. 13-year-old Mary Codevilla of Flatiron finished sixth in a quick 4:59.45, just ahead of seventh-place Rachel Butler of Cottonwood Heights Aquatic Team in 4:59.52. Mikayla Seigal of Flatiron Athletic Club rounded out the top eight finishers with her time of 5:02.96. The men’s 500-yard freestyle saw some big time drops from prelims to make for a very tight top four. Scott Pekarske of Tucson Ford Dealers Aquatics, third seed after prelims, won the event in 4:28.41 with a three and a half-second drop from the morning. Tanner Falls of Swim Neptune was close behind in 4:28.83 for the silver, followed by Stefan Cooley of Scottsdale Aquatic Club in 4:29.19. Jarod Arroyo of Pitchfork Aquatics was just off the podium in 4:29.52 for fourth. Brent Zang of Tucson Ford Dealers touched in 4:33.63 for fifth, followed by Carson Flygare, swimming for Mesa Aquatics Club, in 4:33.70 for sixth place. Phoenix Swim Club’s Michael Niezgodzski put up a time of 4:34.77 for seventh, while Scottsdale’s Max Weed‘s time of 4:35.55 was good for eighth place in the championship heat. Olympic gold medalist Breeja Larson won the women’s 100-yard breaststroke in a 58.00. She won over Claire Grover of Scottsdale Aquatic Club, who touched in 1:01.05. Third place went to Katie McBratney of Pitchfork in 1:02.89. 14-year-old Abigail Maoz of Tigard Tualatin Swim Club finished fourth in 1:02.93, followed by 13-year-old Chase Davison of Flatiron Athletic Club in 1:03.41. Fratesi (1:03.63), Codevilla (1:03.92), and Riley Courtney of Scottsdale Aquatic Club (1:04.19) rounded out the championship heat of the event. While the women’s event was abound with young talent, the men’s 100-yard breaststroke saw a battle of the alumni. Former ASU swimmer Thibaut Capitaine won the event in 54.16, followed by his former teammate Juan Jose Garcia Mesa in 55.30. Patrick Schramm of Phoenix Swim Club earned the bronze medal with his swim of 56.29. Fourth place went to Kevin Krupitzer of Life Time Arizona in 55.66, followed by Denton Anderson of Hilltop Aquatic Swim Team in 56.78. Scottsdale Aquatic Club’s Matthew Leblanc touched in 56.80 for sixth, followed by Pitchfork’s Morgan Toro in 57.48 for seventh. Christopher Allen of Mesa Aquatics Club’s time of 58.33 was good for eighth. Sadie Edwards of Scottsdale Aquatic Club claimed the victory in the women’s 100-yard butterfly with her time of 54.92, almost a second drop from her seed time. Mesa’s Olivia Grossklaus nabbed the runner-up spot with her time of 55.38, followed by third-place Madison Szeremet of YMCA Westside in 55.88. Seigal earned another top eight finish with her fourth-place time of 56.22, followed by fifth-place Emily Brockman of Bend Swim Club, who catapulted up from 30th place to fifth with her time of 56.34. Tuscon Ford Dealers’ 13-year-old Avery Spade sprinted to an impressive 56.45 for sixth, followed by Scottsdale’s Isabella Wylie in 56.67. Eighth place went to Gabriella Lizzul of Scottsdale in 57.14. Notably, McCoy would’ve earned third place had she been in the championship heat, with her time of 55.79. Giles Smith made an appearance in the men’s 100-yard butterfly, representing Phoenix Swim Club, to win in 47.59 to second-place Benjamin Miller of Tigard Tualatin Swim Club’s time of 48.92. Third place went to Henry Lucco in 49.78. Tri-city Channel Cat Swim Team’s Skyler Younkin nabbed fourth place in 49.91, followed closely by Nabor in 49.96 for fifth. Nixdorf earned another top eight finish with his sixth-place time of 50.00, tying with Scottsdale’s Michael Klauss. Lukas Miller of RallySport Aquatics in Colorado shot up from 35th seed to eighth place, thanks to his time of 50.87. Results were not available yet for the women’s 400-yard freestyle relay. Pitchfork Aquatics’ A relay team won the men’s 400-yard freestyle relay in 3:04.89, followed by Mesa Aquatics Club in 3:05.04, and Scottsdale Aquatic Club in 3:05.36. Lake Country Swim Team was fourth in 3:07.92, followed by host team Phoenix Swim Club in 3:08.23. Rio Salado Swim Club (3:09.23), Hilltop Aquatic Swim Team (3:09.60), and Tucson Ford Dealers Aquatics (3:10.39) also placed in the top eight. Individual relay names were not available on Meet Mobile. What picture did you post with this article?